That's only at the "Level 5" rebuild level and it's another $1k on top of their reman price but not shipping and gaskets. They're tearing apart a reman engine to replace parts that I rarely read about being a problem. This is a quote from banzais page on the service they offer, if you've never dealt with them or heard how their service is then disregard this post. "We rebuild your supplied core engine. All engines are completely disassembled and meticulously cleaned using our state of the art Omegasonics Super Pro cleaning equipment. All components are then thoroughly inspected to insure that ever part is within tolerance and meets rebuild specifications. We require that you supply us with a rebuildable core. This means that the main components are not destroyed or worn beyond reuse. If you do not have a core engine you will need a Level 5 Rebuild, currently only available with RX-8 Renesis engines." *edit* Thanks for quoting source. Last edited by BigCajun; 08-28-2017 at 08:05 PM. There's a new tactic in "marketing". In that case, you might want to edit it so that it's clearly a quote, and post a link to the page where you saw it. Great website, makes me nostalgic. Last edited by BigCajun; 08-22-2017 at 06:07 PM. Some of my best websites were coded in a basic text editor in the 90's. Shows how good I am at making websites. Added Colleti Motorsports, and Eccentric Motorsports per wannawankel's recommendation in another thread. So you're just going to list anybody that "claims" to be a rotary engine expert? 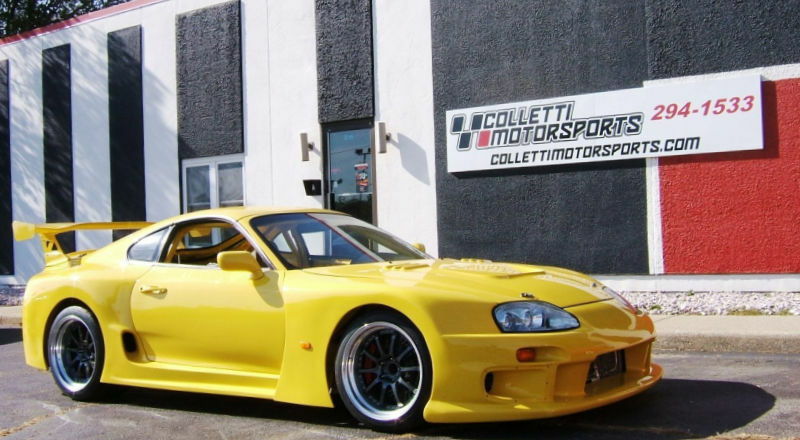 Colletti Motorsports: the "ripper off-ers"
I'm listing anyone who is referenced by a member and professionally rebuilds engines. I thought it would be a good idea to list them in one place with no prejudice. It's up to the members to do their own research. I also stated in the original post that reviews are welcome. Last edited by BigCajun; 10-02-2017 at 03:16 PM. If those are the criteria for inclusion, add Motorsport Enterprises Racing (MER) in Cresson, TX. I have no direct experience with them as rotary engine rebuilders, but they are otherwise good guys. They do R&R and tear-downs, but I don't think they actually rebuild. If you want to see tons and tons of bad housings sitting on shelves, that is the place to go, however! Kind of defeats the purpose of this thread. Someone says "'So&so' does rebuilds." I look at​​​​​​ the site and see "Rotary Service", "Engine Swaps", etc. I take their word for it because I'm not going to spent the time to vet the website or source to verify it. I can't speak for anyone else, but I think it's better to have the suggestion AND the negative feedback as forum members deem appropriate than to expect OP to vet every single suggestion. It just makes more practical sense to crowdsource everything than to have one person be the arbiter and act as a choke point.